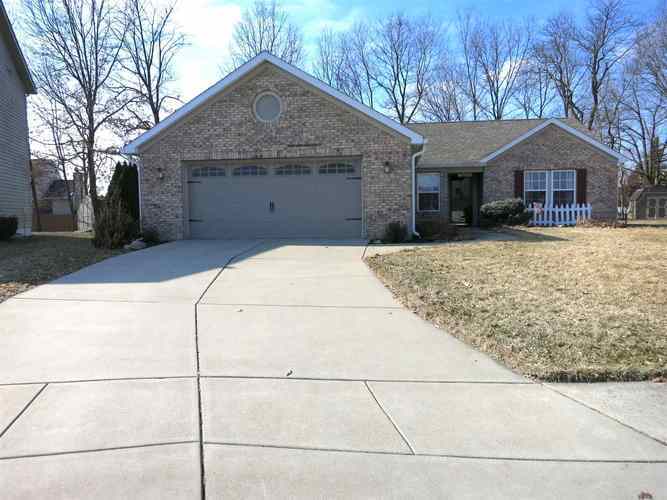 Upon entering this home you are in the nicely sized foyer displaying ceramic tile flooring and housing a guest closet. Split floor plan, 3 bedroom, 2 full bath home, one being the large master suite. Spacious eat-in kitchen with plenty of cabinet and counter space and a newer backsplash. Furnace and A/C new in 2015. New in 2017 roof, gutters, downspouts, and facia. Garage with an abundance of storage space. Warm weather is just around the corner, so you can relax on the stamped concrete patio. The following items are not included: attached decorative items, TV wall mount [wall will be repaired], Valence in kitchen. Saddlebrook offers a neighborhood park.